"Our mission is to provide you with the most comprehensive building inspection and give you the peace of mind to make the right choice." 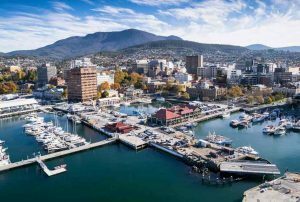 We specialise in pre-purchase building inspection Hobart, East coast and across Tasmania and have over 30 years experience, fully licensed and insured with $1 million personal indemnity and $5 million public liability insurance. 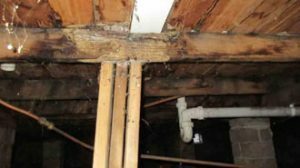 Our pre-purchase building inspection report is the most comprehensive and detailed house inspection in Tasmania, with many digital photos. Chris, our local building inspector, knows what it's like to buy a family home or investment property. It can be an incredibly stressful experience, which is why he is here to help. 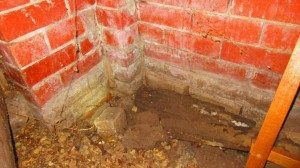 When he is contracted to do a inspection, he always approaches the job as if he is buying the house himself, so you can be sure he’ll leave no stone—or floorboard—unturned. 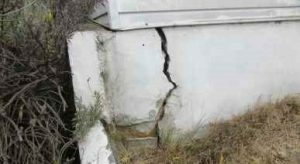 Do you really know whether the property you are looking to buy is structurally sound, or a nightmare, hiding future repair job, after repair job? Chris will use the latest technology in inspection tools such as thermal imaging cameras, moisture meter and aerial drone property inspections plus the wealth of knowledge he has accumulated through years of building houses across Tasmania, when inspecting your future property. We, at Hobart Building Inspections, don't leave a property until we are 100% happy that we can provide you, our clients, with a detailed professional pre-purchase building report. The pre-purchase reports also comply with the scope of the relevant Australian Standard, AS 4349.1. Inspection costs depends on location and the the size( sqm.) of the buildings. Pre-purchase building inspection reports are usually emailed to you within 24 hours of the house inspection, but if required, we can get them to you on the same day—just let us know.